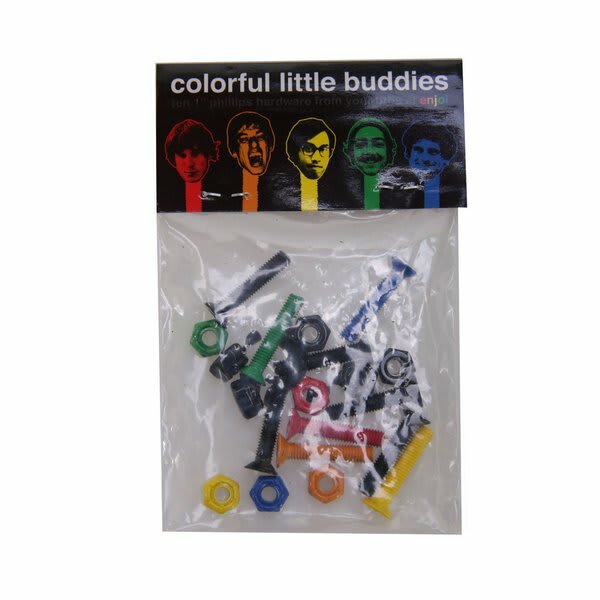 Enjoi Little Buddies Phillips Skateboard Hardware 1"
Description: Enjoi Little Buddies Phillips Skateboard Hardware 1"
Find a new best friend for your deck with Little Buddies Phillips Skateboard Hardware 1 in. from Enjoi. 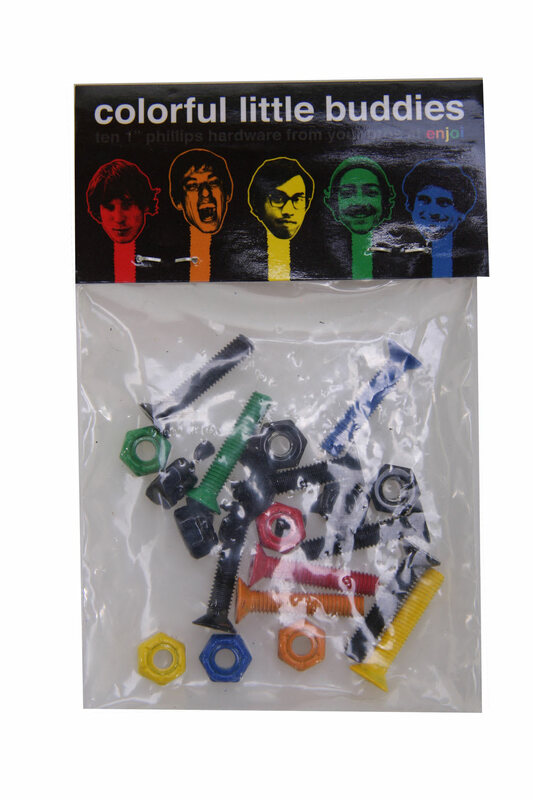 This hardware set features 5 sets of Phillips screws and nut in a variety of fun hues so you can anchor your board safely to your trucks and add a little personality at the same time. Perfect for any deck, you can count on this hardware set to keep your set-up firmly intact.